The twin cities of Minneapolis and St. Paul are a Mid-western hot spot! There is a phenomenal mix of outdoor nature and city activities. 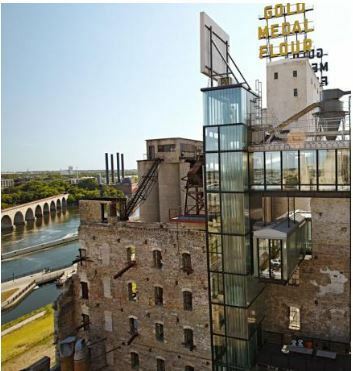 The Minneapolis – St. Paul area is second only to New York in artistic activity per capita. The parks are among the best in the world and the cities are well known for world class shopping and their natural beauty, providing a unique opportunity for au pairs to experience two cities in one. 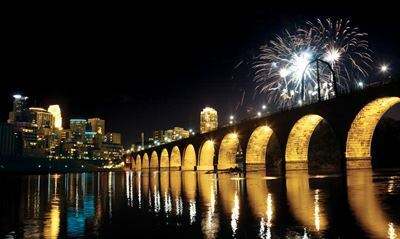 The Twin Cities area is well known for exceptional shopping and many award-winning restaurants. 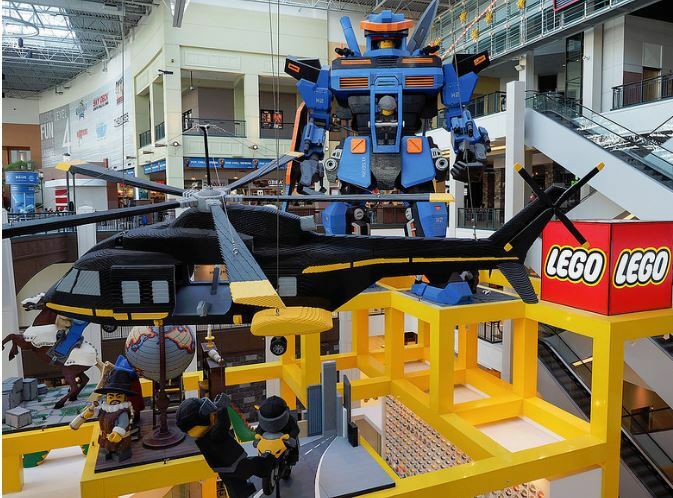 The famous Mall Of America with over 500 stores is located in Bloomington, MN (Metro Minneapolis), and is the nation’s largest mall with dozens of restaurants, an indoor amusement park, an aquarium, Legoland and a butterfly garden! Did I mention that all clothes and shoe shopping is tax free at the Mall of America? 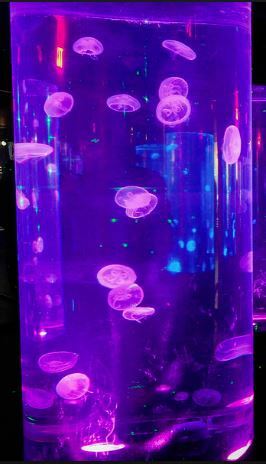 If you’re not interested in shopping, go for one of the many celebrity events, the Nickelodeon Universe amusement park, or see the psychedelic jellyfish at the Sea life Aquarium. Go through the Mirror Maze the House of Comedy, snorkel dive with the sharks or use the A.C.E.S. flight simulator. 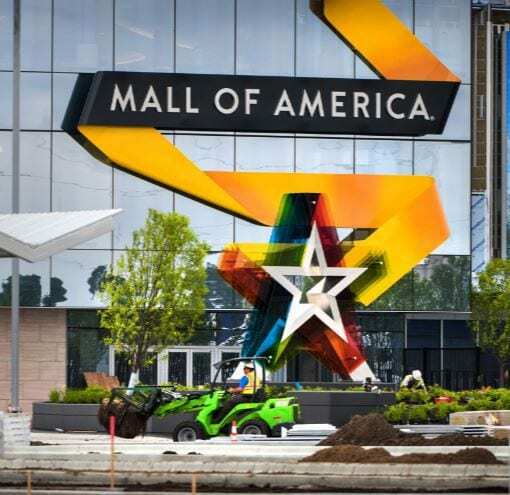 You can spend days inside this mall, the Metro transit rail will drop you off and return you safely home. You’ll find Minneapolis to be trendier, and St. Paul to be somewhat quieter, but no less interesting. During the summer you will enjoy the Chain of Lakes, a scenic byway located southwest of downtown, which is popular among athletic travelers who enjoy jogging or boating. You’ll find 13.3 miles of pathways that encircle the Chain of Lakes in Minneapolis. People are out enjoying both land and water, while roller-blading across the Stone arch Bridge or paddle boarding down the river. 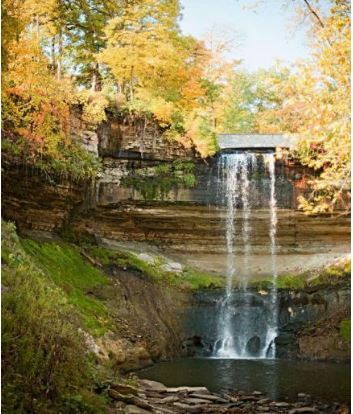 This area is really a gem for natural beauty, having fresh lakes, trails, woods and the Mississippi River. Another interesting attraction in Minneapolis is the Mill City Museum, which was once the largest mill in the U.S. Today you can see how they produced old school flour with period style equipment and railroad cars. 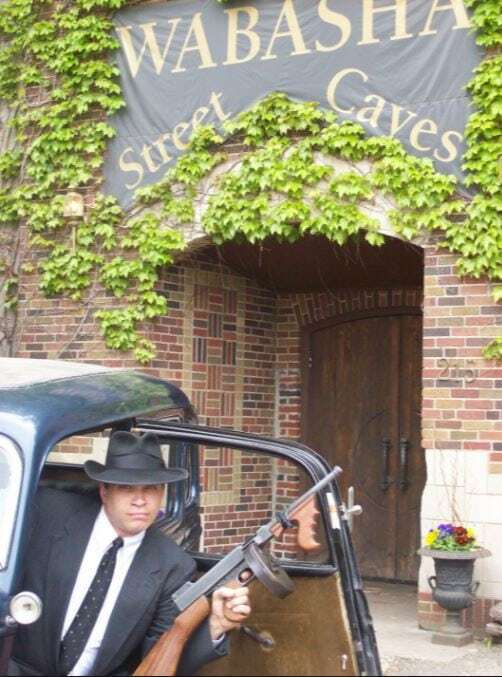 Ride the glass elevator from the Mill Ruins park to the top of this iconic museum. Visit the Cedar Cultural Center, which hosts more than 150 concerts, dances and community events every year. The Twin Cities have an abundance of art! 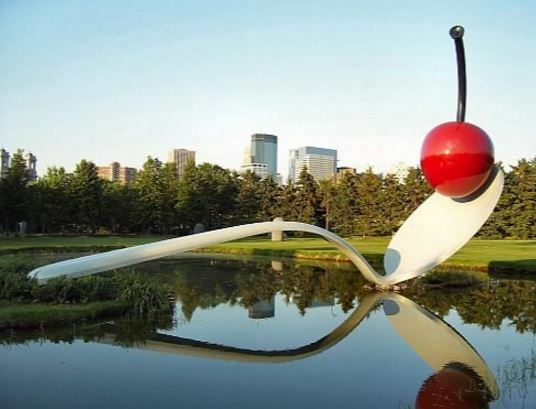 A few attractions to mention are the Minneapolis Sculpture Garden, one of the largest urban sculpture parks in the country and the Minneapolis Institute of Arts. The Sculpture Garden is an 11 acre park developed jointly by the Walker Museum and the Minneapolis Park and Recreation Board. Within the Sculpture garden you can find over 36 larger than life size sculptures. The Minneapolis Institute of Arts has 80,000 works of art that span more than 5,000 years, this is the place to go if you’re an art lover. You can find sculptures, photographs, paintings, drawings, textiles and prints from all over the world. Also worth mentioning, is the Frederick R Weisman Art Museum at the University of Minnesota, which is a museum focusing on American art from the early 20th century to the present. Please do not fear the cold! The Twin Cities are well prepared for cold weather, having The Minneapolis Skyway System, which is an interlinked collection of enclosed pedestrian footbridges. The road crews are well prepared for snow and removal starts as soon as the snow falls. There is cross country skiing through the many parks, ice skating and ice hockey, and the city of Lakes Loppet Ski Festival. What’s more fun than building snow sculptures or enjoying the luminarias in ice sculptures? 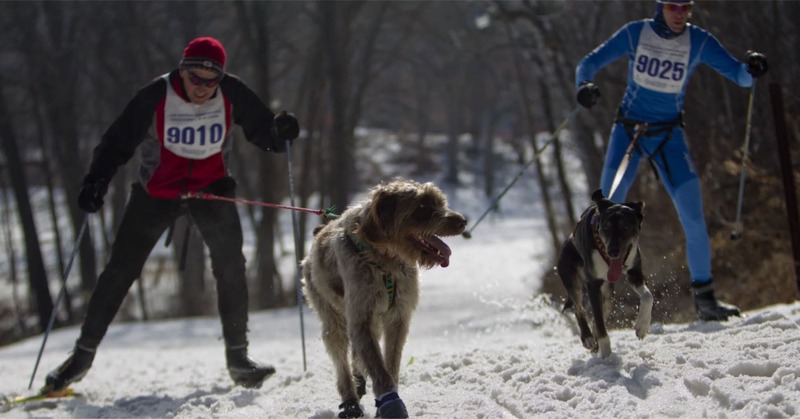 Join in any number of ski races, fat tire snow biking, crew skiing with 6 men teams on 25 foot long skis or skijoring, which is skiing behind either a dog or horse on a leash! 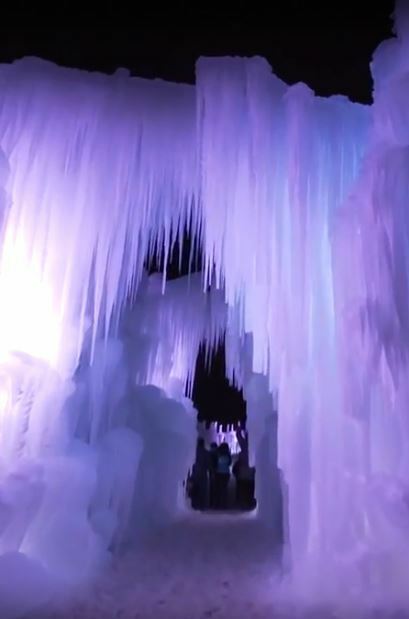 Head Southwest of Minneapolis to the Eden Prairie Ice castles for a magical day. Winter doesn’t slow anyone down in the twin cities. Winter is a wonderland experience in Minnesota. For more information about the GreatAuPair J-1 visa program, visit www.greataupairusa.com or call 800.604.2507 to speak with a GreatAuPair representative & request a free host family application. Au pairs call 1-775-636-8302, or contact us on skype at greataupair.com.